But it sure is something to celebrate! 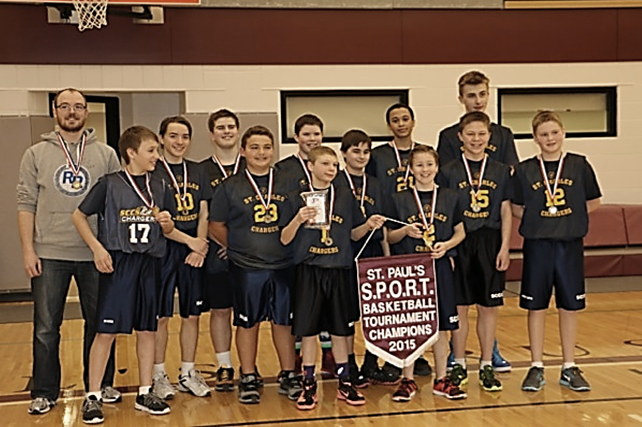 The Boys’ Basketball team together with Coach Jeff Sutherland brought home the banner from the St. Pauls’ HS S.P.O.R.T. Basketball Tournament held last weekend. Cieran O. was named the tournament’s MVP. Thanks everyone who came out to support the team. The boys really appreciated it! On Monday, the entire school shared in the excitement in an assembly during which the banner was proudly displayed. The students of SCCS have a long-held tradition regarding the ashes used at their Ash Wednesday services. 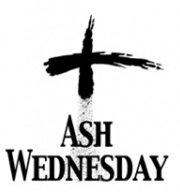 The week prior to Ash Wednesday, during religion class, they explore the ideas of Lent: prayer, repentance, self-sacrifice, self-discipline, almsgiving, etc. Then each student is asked to write down on a small slip of paper their personal intentions for the season. All papers are gathered up and burned creating ashes that can be incorporated into the palm ashes for Ash Wednesday. 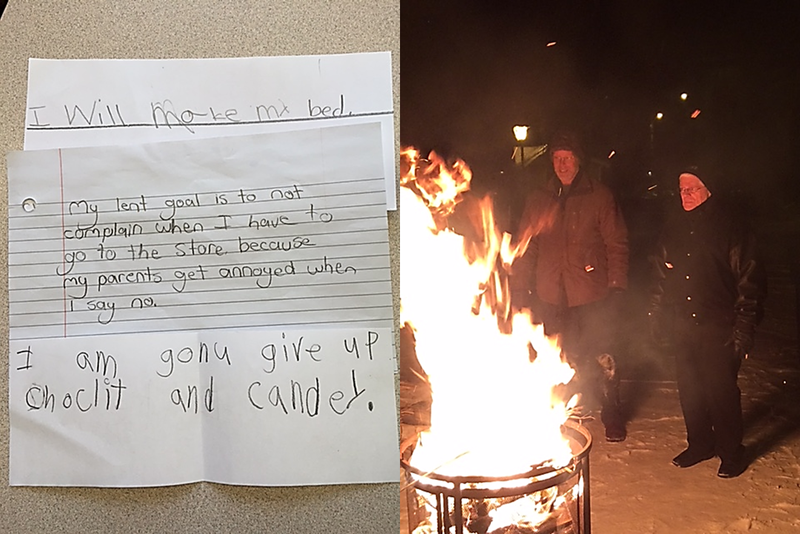 The student papers were burned at one of our owner parishes, Our Lady of Perpetual Help, during the Tuesday evening ceremony thanks to Mr. Thompson, member of the SCCS Board of Directors, Msgr. Comeault and Anna Thompson. The SCCS Ash Wednesday Mass was celebrated on February 18th by Fr. Paul Tinguely and was held at St. Charles Catholic Church. God is a loving and forgiving Father. When we stray He wants us back. We are called to remember that God loves us when we say sorry. Today let us think about John the Baptist’s message to stop saying ‘No’ to God and to start saying ‘Yes’. God our Father, we know you are always near, and that you never stop loving us, even when we turn away from you and do wrong. We want to live in the Way of Jesus, and we ask your help, as we pray. Help us to live in the Way of Jesus, and to love, trust and go to you at all times. Help us to treat others well, and to be ready to share with them, whenever we can. Help us to tell the truth, and to be honest in all that we do and say. Help us to live in the Way of Jesus, and to be helpful and obliging, at home and at school. Help us to be thoughtful and kind, and to forgive, when others hurt and do wrong. Many students got into the spirit last week after the Grades K-2 students completed their annual 100 Day celebrations. Each student in the class completed the sentence and added a picture of what they think they will look like when they are “old” thanks to an iPad app. Mrs. Prettie’s Grade 4 class made posters for their bulletin board which had two columns: things I wish I had 100 of, and things I would not like to have 100 of…. such as bossy sisters! On Tuesday, February 17th, the entire SCCS community was invited to partake in a fantastic breakfast of pancakes, sausages, juice and coffee. 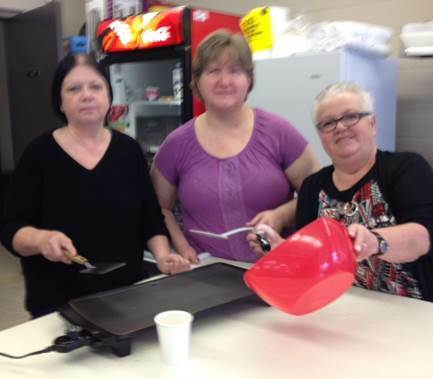 Thanks to volunteers Pam Lane and Kathy Everard, together with their group of dedicated cooks, everyone was greeted at school that morning by the smell of freshly made breakfast. Much appreciation is also extended to the DeLuca family for donating the coffee pot and coffee and Linda Senderewich for donating the sausages. All donations made by the many grateful consumers have been donated to the Holy Childhood Association. On February 10th, the K-2 students celebrated Catholic Schools Week by spending time together, enjoying fellowship and community building at St. James Lanes. For many students, it was their first time glow bowling and it was great to see the older students helping out their younger peers. What a great witness in demonstrating kindness and love towards others. The staff at St. James Lanes had everything set up for the afternoon of fun. Students enjoyed taking on funny screen names from classic kids shows, such as Barney and Dino. As they spent the afternoon bowling, students enjoyed a special treat of popcorn and drinks. The staff and students are so grateful for our volunteers who helped make this event a huge success! We have a lot to be proud of as a Catholic school family! The early years, K-2, students celebrated the 100th Day at school on Thursday, February 12th! The students enjoyed their day participating in a various activities based on the 100 theme. Some of the activities that the students completed were: The 100 Day Olympics; building with 100 items; making 100 Day glasses; doing puzzles with 100 pieces; The 100 Day Dance Party (there were certainly at least 100 different moves! ); and, stringing 100 Fruit Loops onto a ribbon to make a necklace. The afternoon was concluded with the movie, Disney’s Planes Fire & Rescue in the gym. It was an awesome day! Many thanks to the parent volunteers who were the key to a highly enjoyable, successful event. 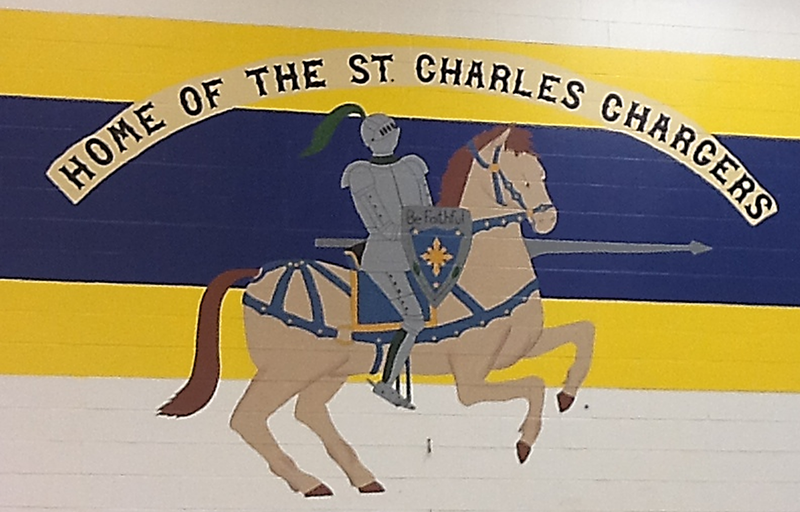 We are truly blessed with a supportive community at St. Charles Catholic School!